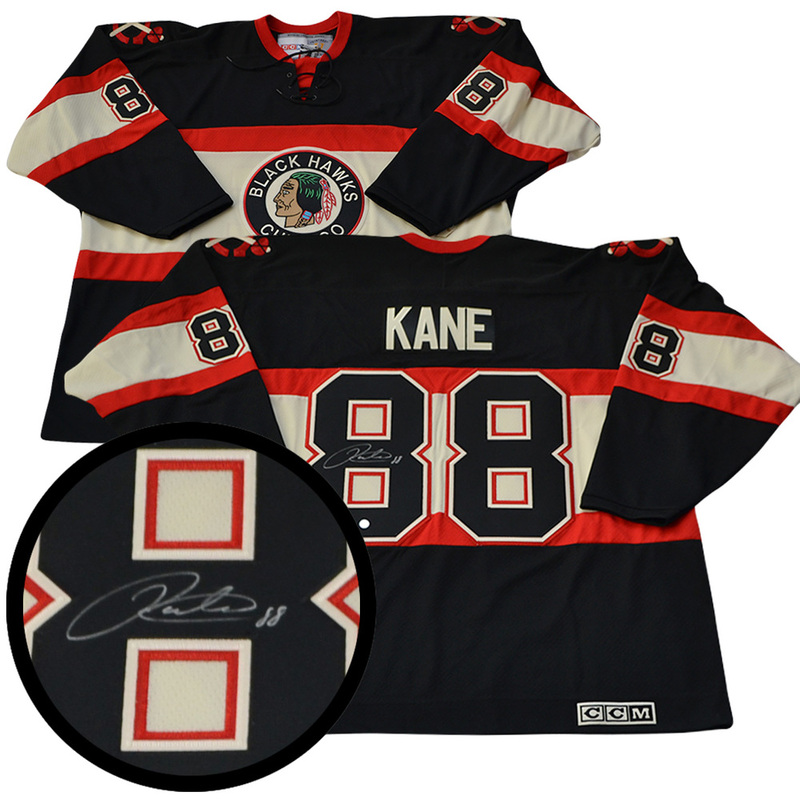 This Blackhawks jersey comes personally signed by sniper, Patrick Kane. Kane is known around the NHL as one of the most lethal snipers in the game, with a quick accurate shot that can be taken from anywhere on the ice. Kane has never played a season with less than 21 goals since joining the NHL in 2007. Kane was drafted by Chicago 1st overall in the NHL Entry Draft in 2007. After getting off to a good start in the NHL, Kane won the Calder Memorial trophy in 2008 with 21 goals and 72 points. Kane has taken home 3 Stanley Cups with Chicago, his best being in 2013 when he earned the Conn Smythe, where he scored 9 goals with 10 assists. In 2016, Kane finished a career year with personal best in goals (46), assists (60), and points (106), Earning him the Art Ross, Hart, and Ted Lindsay Award. This NHL & NHLPA officially licensed product comes with a Hologram and Certificate of Authenticity. Frameworth is the exclusive autograph provider for Patrick Kane.